STUNNING BRAND NEW townhome at SEVEN PEAKS by POLYGON. Featuring 3beds/3baths, top of the line finishing, expansive open concept living spaces, mountain views and a double car garage-making this an ideal home for families, couples and outdoor enthusiasts. The main level boasts spacious living and dining areas, a luxurious white kitchen with stainless steel appliances, gas range and a large island. Upstairs you have 3 bedrooms, vaulted ceilings, a spa like master ensuite and a dreamy walk-in closet. The lower level is the attached double garage with extra space which can be converted to a rec room or 4th bedroom and direct access to your private fenced yard. Located steps to great trails, parks and the Brennan Community Centre. 2 pets and rental allowed. 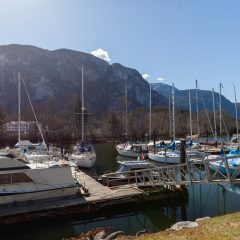 Inquire about 9 - 39548 Loggers Lane, Brennan Center, Squamish now!